Born-and-raised a cowboy, Vietnam vet Joshua Jacobs looks out across the West Texas plain. All the land stretching to the uncluttered western horizon is his. From just a patch of land he built an empire, one he runs by his own rules. Yet, Joshua learned a hard lesson ... that his family couldn’t be run the same way. Joshua deeply regretted not being on speaking terms with his only son when James died serving his country. James’s wife Katy never forgave Joshua for trying to run their lives. Heartache upon heartache, Joshua’s beloved wife Sarah passed not long after. Now, the only legacy Joshua has left is his grandson, but like his dad and granddad before him, young Josh also chose to serve his country. Joshua spends his days waiting for letters from him. In the latest letter, young Josh said he was thinking of finally leaving the military to take his place on the ranch at his grandfather’s side. Joshua was overjoyed, but his joy was cut short when he saw a picture of his grandson on the news. The report said young Josh was taken hostage by the head of the most violent ISIS unit, known as the “Storm Demons.” Their leader, Shakir was infamous for beheading his hostages and broadcasting the horrors online to the world. Threatening Joshua Jacobs’ grandson was a mistake. Now, an Islamic Extremist’s hate for America faces an old cowboy’s love for his grandson. 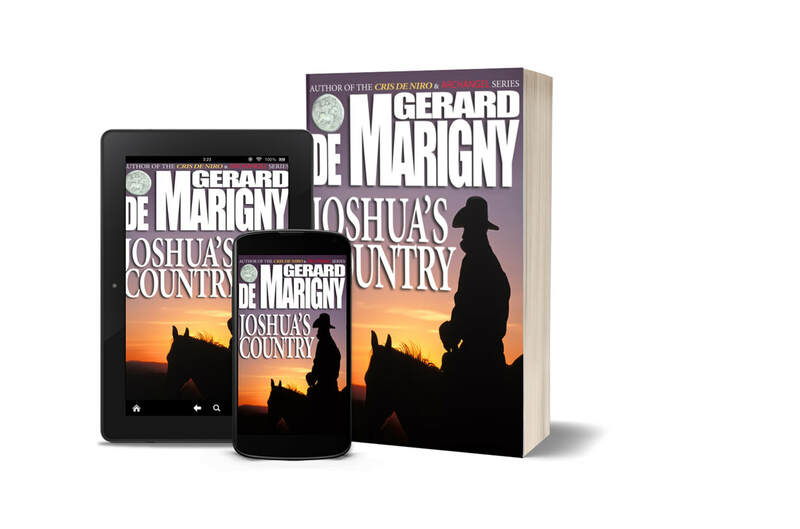 From the creator of the Amazon-bestselling action & adventure CRIS DE NIRO and ARCHANGEL thriller series, Gerard de Marigny.